I’m not going to lie, it is completely possible that I have self-induced pineapple insanity. I bought a cute baby pineapple this week and instead of eating it right away, I left it on the counter. That would be fine, except when I walked in my house last night it smelled a little, um…odd. This didn’t exactly bother me because I lived in Hawaii for three years and grew to actually love the smell of fermenting tropical fruit. But when I picked up the pineapple today, it was foaming. Yes, foaming. Ewww. 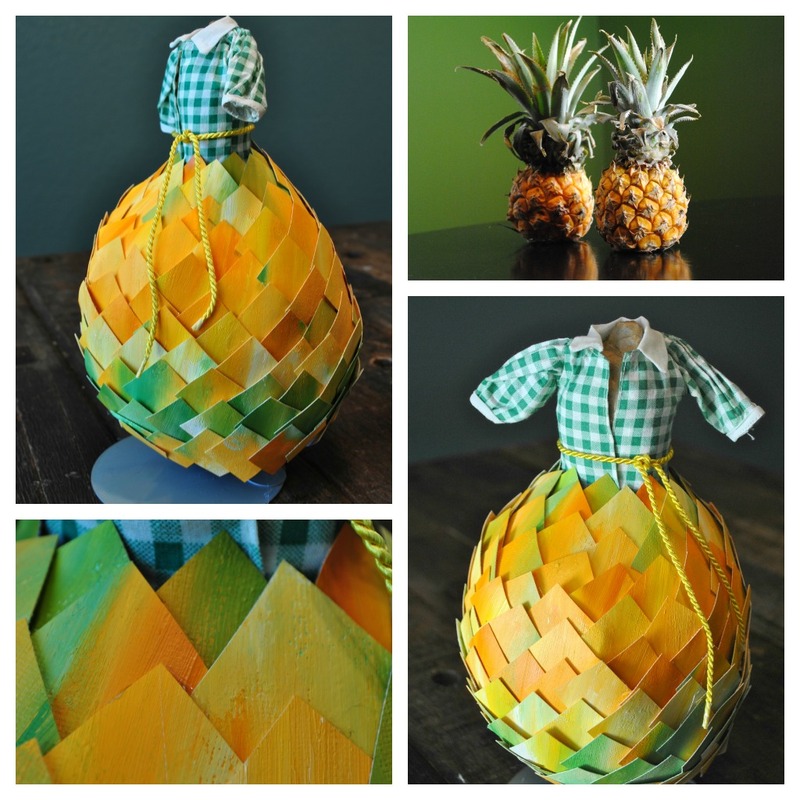 It didn’t go to waste though, because it inspired this adorable little dress. I hope you enjoy it and are inspired to look at something normal in a new way today. Don’t let your inspiration rot though. I don’t recommend that part. Skirt: Handmade wire hoop for structure with oil cloth glued on as the base. Covered in squares of painted and cut canvas. Ohhhh that is so clever and so insane!! :)~ But it makes me miss Hawaii as well…. 1 of my fav places! Have a fun day! is it possible to make for upper body?